This cemetery is located in Upper Yoder Township, Cambria County. From Goucher Street (SR 3007), take Magdalene Way the whole way to the end of the paved portion of the road. 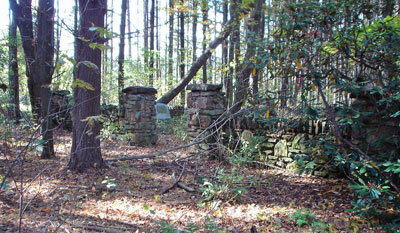 At the end of the road, the cemetery is situated off to the right in the woods about 30 yards back surrounded by a stone wall. The property is private and surrounded by a chain link fence.